City government and the Akshara Centre, a Mumbai-based CSO, built a long-term partnership to empower women and create a safer Mumbai. For over a decade, the Akshara Centre and other CSOs collaborated with a broad array of government agencies to raise public awareness of gender inequality, to work towards the empowerment of women and youth, and to prevent violence against women. Over the period of collaboration, Akshara has moved from an outside actor protesting inaction by city government officials to a trusted partner of the city, while continuing to be an effective advocate for its constituents. Civil society organizations (CSOs) offer opportunities for residents to organize and engage in local governance beyond the political process and in between election cycles. However, in many cases, the relationship between CSOs, elected officials and public servants is characterized by confrontation and distrust; city officials view CSOs as agitators and troublemakers, while CSOs view government as overly bureaucratic and inefficient. Faced with limited mechanisms for getting gender perspective into government, the Akshara Centre has sought to create a space for CSO involvement and define their role carefully within the existing system. The Centre recognized the opportunities and restraints of the existing governance system, and the importance of building and maintaining a good, long-term relationship with the city government. They focused on sustaining engagement with the government on gender issues and providing technical and capacity-building support for city agencies in order to improve government service. This includes information dissemination, participatory research, training and mobilization of youth and women, and collaboration with and lobbying to local authorities and institutions. 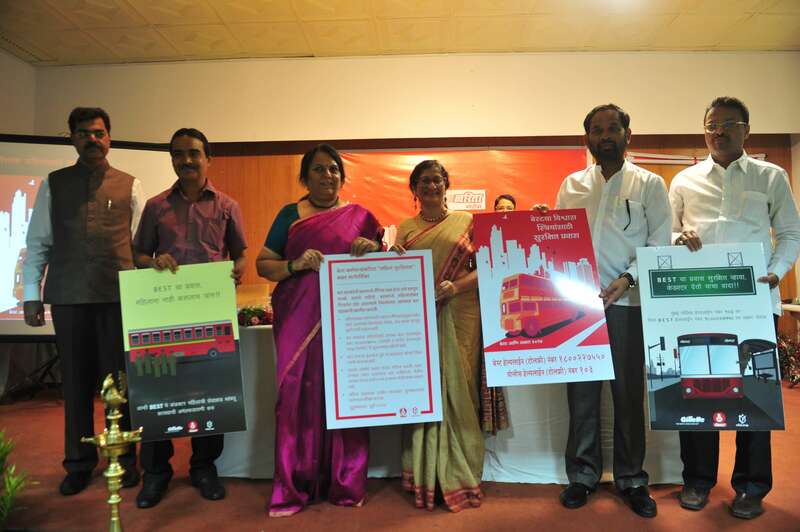 This long-term collaboration between city government agencies, the Akshara Centre and its partners has resulted in a number of projects, including a dedicated emergency helpline for victims of gender-based violence (a collaboration with the Mumbai Police which was launched in 2008) and a series of trainings and workshops for bus and rail personnel on sexual harassment and gender discrimination, in collaboration with the Brihanmumbai Electric Supply and Transport (BEST) and the Mumbai Suburban Railways. This took place between 2013 and 2018. In the workshops, trainers explored with participants potential responses to incidents of sexual harassment and gender discrimination that they might witness in their jobs, and devised solutions that the participants believed were feasible and sustainable. By co-creating rather than instructing, CSOs sought to build trust with government employees and produce a viable response to wrongdoing. For example, many bus conductors indicated that direct confrontation with suspects of sexual harassment on the bus could become confrontative and argumentative. Instead, an alert conductor can make an announcement asking men to look how they are standing or asking the woman if she is ok. In some cases, they have driven the bus directly to a police station. Beyond just training, this program also led authorities to recognize that the role of bus drivers had to be expanded to include the prevention and redressal of such crimes. We went to the police and discussed with them how angry we are that women are not safe anywhere. We recognized that it's not enough to just get immediate response -which of course must happen- but it's critical to reach a long-term solution. The conception and execution of the emergency police helpline helps illustrate the success of the long-term approach. 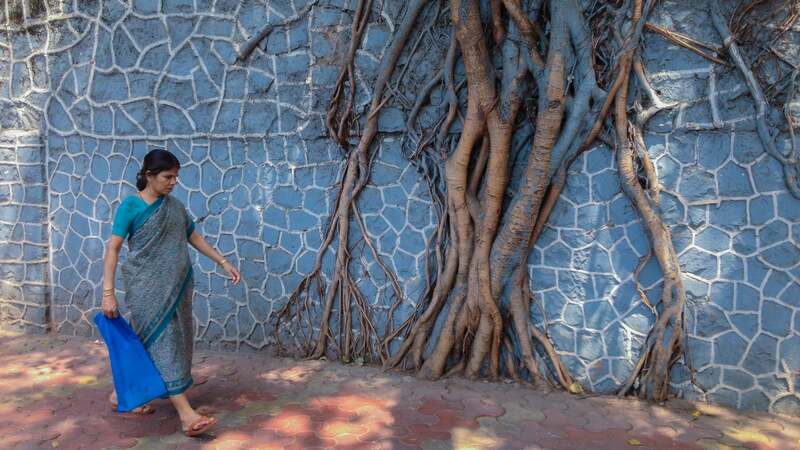 From the late 1990s onward, local authorities in Mumbai had been facing growing public pressure to play a larger role in the fight against sexual harassment. This culminated in a public outcry following the brutal molestation of two women outside an international hotel on New Year’s Eve in 2007. The Akshara Centre and its partners were in a unique position to assist the government in responding, as they had been piloting an emergency helpline for women with the Police Commissioner of Thane District. Making use of this earlier experience, the Mumbai Police Commissioner decided to adopt the helpline's model and launch it in Mumbai as well. The 103 toll-free number was launched as an emergency helpline for women, children and senior citizens on February 28, 2008 as a major part of measures to fight gender-based violence. Akshara Centre and its partners continue to support these measures by training police personnel, providing feedback on the functioning of the helpline, submitting crowd-sourced data on unsafe areas to the police, and raising public awareness through publicity campaigns. The next step in this work was to expand into the most significant mode of public transportation: railways. In the suburban railway system, training programs were held for the Railway Protection Force (RPF) personnel of Central Railways, who are mandated to protect railway property. While local trains have designated compartments for women, women still face sexual harassment on railway platforms as well as other common spaces within and outside the railway station. CSO partners and RPF jointly launched a public awareness campaign about the emergency helpline for women. Stickers with the helpline number (182) were displayed in all the women’s compartments of central railways suburban trains in 2017. The Akshara Centre and its partners trained approximately 350 women law enforcement officers who work with the 103 helpline. The Akshara Centre and its partners conducted sexual harassment and gender discrimination workshops for more than 3,000 BEST bus personnel, including conductors, drivers and senior inspectors. The Akshara Centre and its partners, in collaboration with bus authorities, launched the joint awareness campaign Twarita (A Quick Response.) New rule cards were distributed to 22,000 bus conductors and drivers in 26 bus depots, supplemented by posters and announcements. The Akshara Centre and its partners have trained 558 personnel of the Railway Protection Force (RPF), including members of the helpline unit, on gender-related issues. They have also trained 197 GRP and 75 members of women's squads on their specific roles and responsibilities in supporting survivors of violence and in identifying unsafe areas through safety audit methodology. The city has taken important steps in the fight against gender-based violence and discrimination, and positive attention from the media and the public serve as an incentive to take on these projects. The CSOs encourage city agencies to take full ownership of and receive credit for partnership initiatives. Though these initiatives can be sustained once they are institutionalized, continued engagement with CSOs for training, developing new initiatives and disseminating publicity are required.